Recently, while coaching an executive toward getting important things done, I asked him to make a list of all the things he should have done by now, but hasn’t. 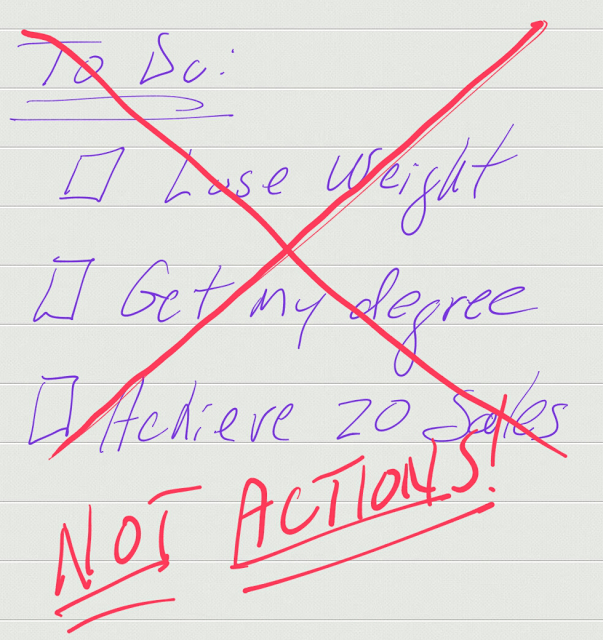 When he finished his list, he quickly realized why he hadn’t achieved more. It was a list of goals — NOT actions. You don’t DO a goal. You ACHIEVE a goal by DOING specific things. Do you have an action plan for your well-stated goals? Is it written down? Are the items on your calendar?